In most states, you can decide who will be in charge of carrying out your funeral arrangements. If you don’t appoint someone, state law gives this job to your closest relatives. This may be exactly what you want, but if you’d like to name a specific person -- or if you fear that family members may disagree about the best course of action after your death -- you should leave a document clearly naming your choice. Some states allow you to leave a simple signed statement indicating who should make your final arrangements, while others require a more formal document signed by witnesses or a notary. If your state allows it, it’s wise to appoint someone to take care of your funeral arrangements in a health care directive. When you use a health care directive, you gather all of your end-of-life wishes in one place, ensuring your wishes are respected and making the path clearer for your loved ones. In addition to deciding who will carry out your wishes, it’s also a good idea to leave instructions about what kind of funeral arrangements you would like, including whether you want to be buried or cremated. You can also leave your preferences for other details, such as whether you would like a memorial ceremony, where it should be, and what kind of music to play. Finally, think about paying for your final arrangements. You can either pay for your plans before you die, or you can set aside money for your survivors to use for this purpose. If you don’t do either of these things, and there’s not enough money in your estate to pay for funeral goods and services, your survivors must cover the costs. No matter what you include in your instructions, make it easy for your survivors to find them. You can either share copies of your final arrangement documents during your life, or just tell your loved ones where to find them after your death. 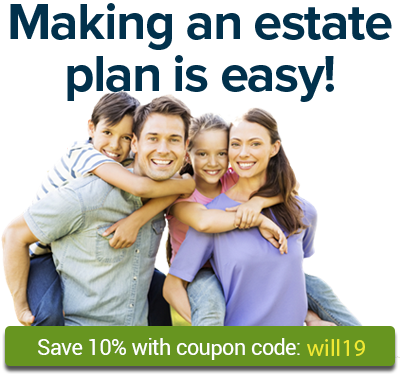 Read the articles below to learn more about your state’s laws for leaving instructions about your final arrangements. In Alabama, you may name the person who will carry out your funeral arrangements. Alaska law now determines who can make decisions about funerals and body disposition after someone dies. In Arizona, you may name the person who will carry out your funeral arrangements. In Arkansas, you may name the person who will carry out your funeral arrangements. In California, you may name the person who will carry out your funeral arrangements. In Connecticut, you may name the person who will carry out your funeral arrangements. In Delaware, you may name the person who will carry out your funeral arrangements. In Florida, you may name the person who will carry out your funeral arrangements. In Georgia, you may name the person who will carry out your funeral arrangements. Hawaii law determines who can make decisions about funerals and body disposition after someone dies. In Idaho, you may name the person who will carry out your funeral arrangements. In Indiana, you may name the person who will carry out your funeral arrangements. In Iowa, you may name the person who will carry out your funeral arrangements. In Kansas, you may name the person who will carry out your funeral arrangements. Unlike most other states, Kentucky does not have a comprehensive law allowing you to name the person who will carry out your funeral arrangements. In Louisiana, you may name the person who will carry out your funeral arrangements. In Maine, you may name the person who will carry out your funeral arrangements. In Massachusetts, you may name the person who will carry out your funeral arrangements. In Michigan, you can name a "funeral representative" to carry out your funeral arrangements. In Minnesota, you may name the person who will carry out your funeral arrangements. Mississippi law determines who can make decisions about the disposition of your body by cremation. In Missouri, you may name the person who will carry out your funeral arrangements. In Montana, you may name the person who will carry out your funeral arrangements. In Nebraska, you may name the person who will carry out your funeral arrangements. In Nevada, you may name the person who will carry out your funeral arrangements. In New Hampshire, you may name the person who will carry out your funeral arrangements. If you want to name someone to carry out your funeral arrangements, New Jersey law requires that you do so in your will. Otherwise, your relatives will make final decisions for you. When it comes to naming someone to carry out your funeral arrangements, New Mexico is more restrictive than most states. Learn about planning your own funeral arrangements, who can handle it, and how these arrangements are made in New York. In North Carolina, you may name the person who will carry out your funeral arrangements. In North Dakota, the right and responsibility for making funeral arrangements goes first to a surviving spouse and then to your next of kin. In Ohio, you may name the person who will carry out your funeral arrangements. In Oklahoma, you may name the person who will carry out your funeral arrangements. In Oregon, you may name the person who will carry out your funeral arrangements. In Pennsylvania, you may name the person who will carry out your funeral arrangements. In Rhode Island, you may name the person who will carry out your funeral arrangements. In South Carolina, you may name someone to authorize the disposition of your body after your death. In South Dakota, you may name the person who will carry out your funeral arrangements. In Tennessee, you may name the person who will carry out your funeral arrangements. Learn about planning your own arrangements, who can handle it, and how these arrangements are made in Texas. In D.C., you may name the person who will carry out your funeral arrangements. Learn about planning your own arrangements, who can handle it, and how these arrangements are made in Utah. Learn about planning your own arrangements, who can handle it, and how these arrangements are made in Vermont. Learn about planning your own arrangements, who can handle it, and how these arrangements are made in Virginia. Learn about planning your own arrangements, who can handle it, and how these arrangements are made in Washington. Learn about planning your own arrangements, who can handle it, and how these arrangements are made in West Virginia. In Wisconsin, you may name the person who will carry out your funeral arrangements. In Wyoming, you may name the person who will carry out your funeral arrangements.